In addition to the aesthetic effect of the stain color you choose, pigment is the element in the stain that provides nearly all of the UV protection. Generally speaking, the more pigment and the darker the color that you choose, the better the coating will hold up to sun exposure. Many people are drawn to the idea of not putting any color at all on their beautiful new wood, but if you want to protect the color of your wood from turning gray you need to shield it from the sun with some color. Please note: The examples below are photos of our colors on smooth cedar siding. The species and texture of the wood and even variations from one board to the next can all affect the final color dramatically. 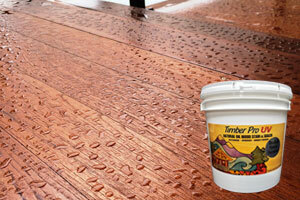 We highly recommend ordering liquid samples to test on your wood before you make a final decision. Our Micro-Tint colors are most natural color options we make, and are perfect for whenever you want to really highlight the natural beauty of your wood while still providing your wood with some protection from turning gray in the sun. Micro-Tint colors are also the best option for application on very dense or tight-grained wood like exotic hardwood or very smooth wood in general, especially new decks or new smooth milled siding. Our Transparent colors offer a wide variety of color options that still let the wood grain shine through clearly. The final color result will be a blend of the stain color and the original color of the wood. Transparent colors are a great option for any project where a natural result is desired. Semi-Transparent colors contain quite a bit more pigment than our Transparent colors do. Because of this, they’ll hold up to sun exposure for a little longer. They’ll also result in bolder colors, shifting the final color further from the original color of the wood and more in the direction of the stain color. On the other hand, this means that the final result will be less natural and show less grain than with a Transparent or Micro-Tint color. Semi-Transparent colors are also great for when you want to cover up unevenness or blemishes in your wood. Our Semi-Solid series includes all of our most heavily pigmented colors, for a very bold color change that covers nearly all of the underlying color and grain of your wood that leaves only the textural characteristics of the wood.